For patients who are not candidates for dental implants, bone grafting is an option. This not only gives us the opportunity to place implants of proper length and width, it also gives us a chance to restore functionality and aesthetic appearance. We obtain the bone from either a tissue bank or we take the patient’s own bone from the jaw, hip or tibia (below the knee). We also perform sinus bone grafts to replace bone in the posterior upper jaw. In addition, we may utilize special membranes that dissolve under the gum and protect the bone graft and encourage bone regeneration. This is called guided bone regeneration or guided tissue regeneration. We repair large defects using the patient’s own bone. We harvest this bone from a number of different sites depending on the size of the defect. We perform these procedures in the office surgical suite under anesthetic conditions tailored to best suit the patient’s circumstances. We conduct a full review of the patient’s medical history and physical exam and discuss concerns and desires at the consultation appointment. 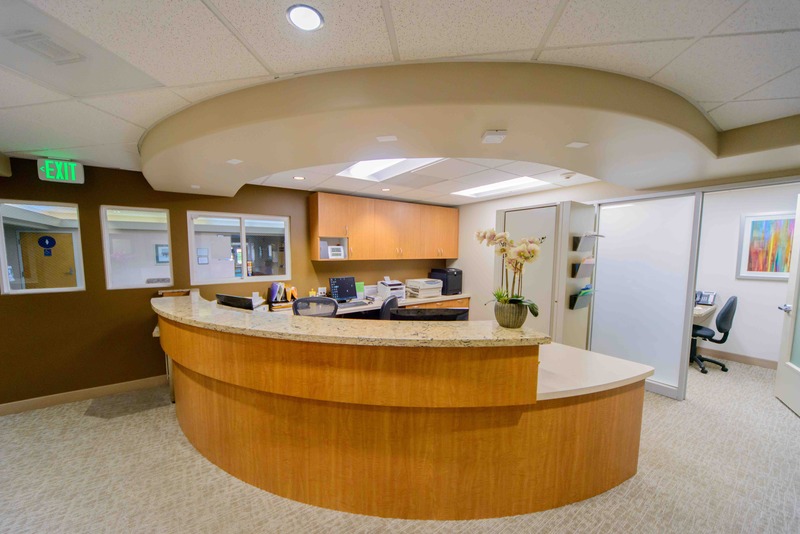 Dr. Chun has performed many of these procedures for bone grafting for patient’s comfort and safety using anesthesia ranging from local anesthetic alone to full intravenous (IV) general anesthesia. The recovery for bone grafting can vary, but on average, patients will be required to have one day of rest with low level physical activity recommended up to 3 to 5 days after the surgery. We use the sinus lift procedure when the sinus wall is too thin and there is a lack of vertical bone volume, preventing the placement of dental implants in the upper teeth. This option also eliminates the necessity of wearing dentures. We enter the sinus from the lateral sinus wall, just above where the upper teeth roots used to be. We lift the sinus membrane upward and insert donor bone into the floor of the sinus. The floor of the sinus is the roof of the upper jaw. After 4 to 6 months of healing, the bone then becomes part of the patient’s jaw. Dental implants can be inserted and stabilized in this new sinus bone. If enough bone between the upper jaw ridge or crest of the ridge and the bottom of the sinus is available to stabilize the implant well, sinus augmentations and implant placement can sometimes be performed as a single procedure. We use this technique to restore the lost bone dimension when the jaw ridge becomes too thin to place conventional implants. Using mechanical means, we expand, or split the bony ridge of the jaw. Once the ridge is expanded, we can place bone graft material within this site. The bone graft material matures for a few months. After it is mature, we can place the implant. This method can predictably double to triple the size of the existing ridge in the horizontal dimension and several millimeters in the vertical dimension. We use this technique for grafting when there is significant atrophy of the alveolar ride in a horizontal or vertical dimension. We use block grafts obtained from a donor site from the patient, such as the anterior mandible, chin area, or the posterior lower jaw (mandible). We miter the donor site blocks of bone into the position of the jaw that needs the bone augmentation. We secure the donor bone with small bone screws. The bone graft heals for 4 to 6 months. We remove the bone screws. We can then place the implants to the healed site. There is rarely, if every, any permanent cosmetic changes in the donor areas, and they often fill back in with native bone. The inferior alveolar nerve (IAN) or mandibular nerve, which gives feeling to the lower lip and chin, may need to be moved in order to make room for placement of dental implants in the lower jaw. This procedure is limited to the lower jaw and is indicated when teeth are missing in the area of the two back molars and/or second premolar. It is also indicated by severe atrophy and minimal vertical bone volume noted over the course of the inferior alveolar nerve. We remove an outer section of the cheek side of the lower jawbone in order to expose the mandibular nerve and vessel canal. Then, we isolate the nerve and vessel bundle in that area and slightly pull it out to the side. At the same time, we will place the implants. Then, we release the bundle and place it back over the implants. We refill the surgical access with the bone graft material. Finally, we close the area. Less aggressive alternatives to nerve repositioning are usually considered first, since slow-dissipating postoperative numbness of the lower lip, chin, teeth, and gums is common. There are several areas of the body that are suitable for attaining bone grafts. These are called autografts or autologous bone sources. or in the upper jaw behind the last tooth or maxillary-zygomatic buttress area. In more extensive situations, we can attain a greater quantity of bone from the hip or the outer aspect of the tibia at the knee. When we use the patient’s own bone for repairs, we generally get the best results. This bone is prepared from cadavers and used to promote the patient’s own bone to grow into the repair site. It is very effective and also free from the risks of viral or prion cross contamination from the chemical processing and cleaning of the bone material. Recent developments in synthetic bone material production has created new options for bone grafting. We can use factors from your own blood to accelerate and promote bone formation in graft areas. Has proven properties of inducing your own body cells to produce bone formation in the grafted area that this material is placed.